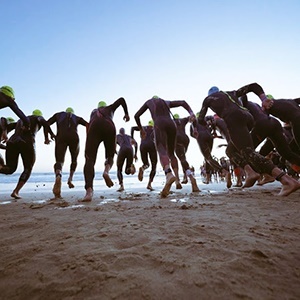 Cape Town - The two participants who tragically lost their lives during Sunday's IRONMAN African Championship at Nelson Mandela Bay’s Hobie Beach, have been named. Officials on the scene said it appeared Stanvliet had convulsions during the swim and Trichardt is believed to have had a heart-related problem. The opening swim leg at the event, normally 3.8km in length had been shortened to 1.6km due to the conditions. Police spokesperson Colonel Priscilla Naidu confirmed that both incidents happened about 10 minutes apart and that both were declared dead when they reached the hospital.